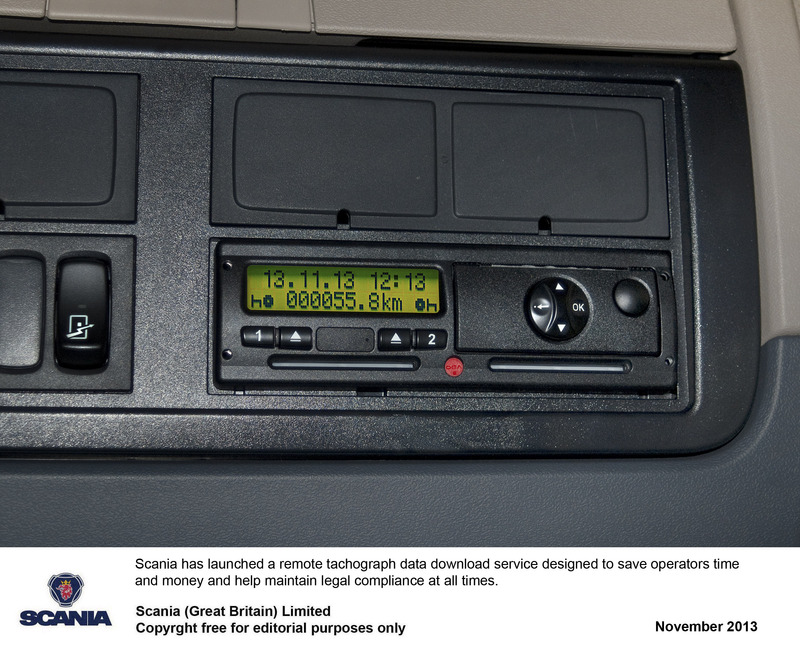 Scania has launched a remote tachograph data download service designed to save operators time and money and help maintain legal compliance at all times. Available to all UK transport operators, this fixed, low-cost service allows fully automated remote downloads from both driver cards and vehicle units from anywhere within Europe. “Every new Scania truck today is fitted with the hardware required for fully automatic downloading and our service has been developed to allow our customers to benefit from this feature,” comments David Hickman, Director – Services Development & Service Sales for Scania (Great Britain) Limited. 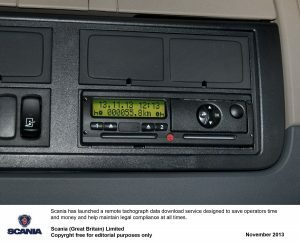 “That said, older Scania vehicles can easily be uprated to enable remote downloading and we can manage non-Scania tachograph data too. All data downloaded remotely is stored on Scania’s secure server, which can be accessed 24/7. Operators then have the flexibility to use either Scania’s own suite of analysis and reporting tools or transfer their data to a system of their choosing. The automatic option downloads driver card data every 21 days. Alternatively, the driver can initiate the process at any time by simply pressing the in-cab download button.